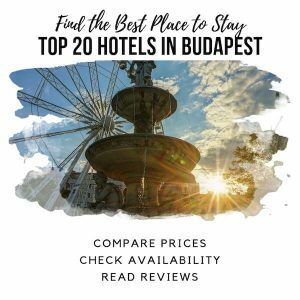 Looking for a boutique hotel in Budapest and considering the Pest Buda hotel in Budapest’s Castle District? 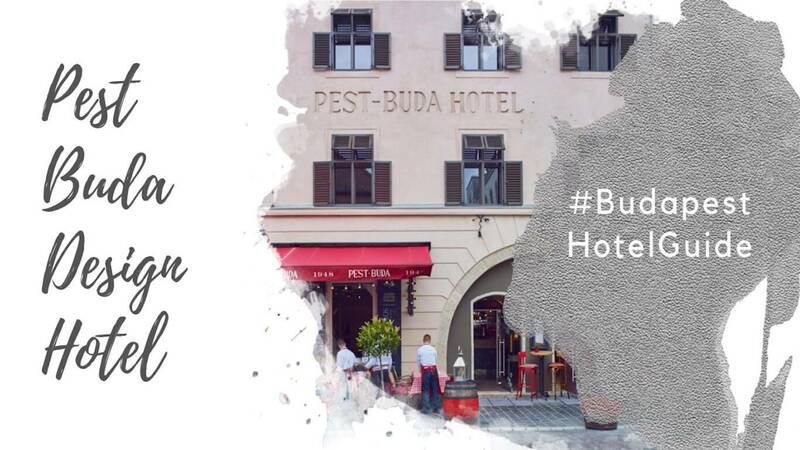 This hotel profile outlines the Pest Buda Hotel’s location, amenities and room types to help you decide if this 4-star design boutique is right for you. Disclosure: This website uses affiliate links. That means we may earn a small commission when you use the links on this site to book a hotel, book a tour, buy your travel insurance, shop for travel essentials, etc. You don’t pay anything extra. Please note, we were guests of the Pest Buda hotel, and received a complimentary stay at the hotel. We’ve made an effort to ensure all information on this website is correct at the time of writing, but expect readers to double check before booking. The adorable exterior of the Pest-Buda Hotel in Buda Castle District. 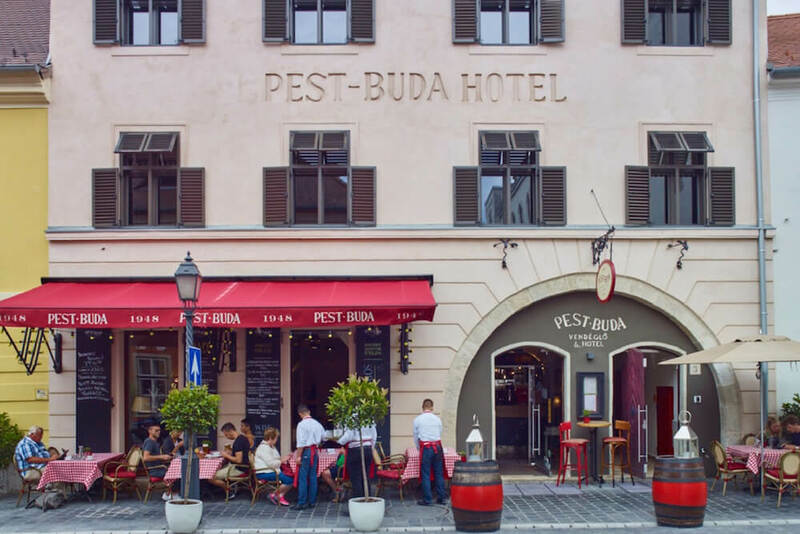 The Pest-Buda Hotel is an upscale design hotel with only 10 rooms and 2 offsite apartments. It’s a luxury hotel and boutique that is a good choice for couples, solo travelers, and business travelers. The hotel offers cribs and rollaway beds for family travelers. However, the lack of an elevator makes it a tough choice for those who rely on a pram/stroller. For this same reason, this hotel also isn’t a good choice for those with mobility issues. ✓ 4-Star ✓ Highly Rated by Past Guests ✓ Quiet & Romantic Castle District (Buda) Location ✓ Close to Budapest Castle, Fisherman’s Bastion, Matthias Church, and Sandor Palace. 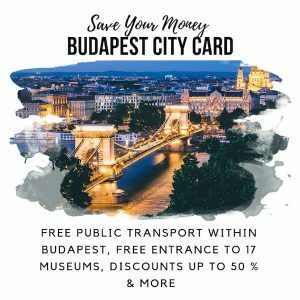 Easy to get to the Budapest Chain Bridge by public transit or the Buda Castle Funicular. Pest-Buda Design Hotel is located at Fortuna u. 3 in the heart of Budapest Castle District (Budapest I). This is one of the best areas to stay in Budapest for a quiet and romantic holiday. It’s about a 40-minute taxi ride from Budapest’s Ferenc Liszt airport (BUD) in good traffic, but will take close to an hour in peak traffic. If you arrive in Budapest at the city’s main international train station (Keleti Palyaudvar), it’s about a 25-minute taxi ride. We recommend downloading and using the Taxify app if you’re going to be connected with cellular data (4G/LTE) during your stay. Budapest doesn’t have Uber, but Taxify works more or less the same. Use the code WNDR2TH to get 500 Ft. toward your first ride. Otherwise, the official airport taxi (Fotaxi) or shared airport minibus service (Minibud) are both reliable. Click here for further details about getting from Budapest airport. 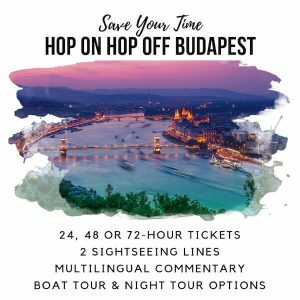 The hotel is within walking distance of Fisherman’s Bastion and Matthias Church (2 minutes), Budapest Castle (15 minutes), and the Chain Bridge (15 minutes downhill). Public transit will take you to Deak Ferenc ter (the true city center and the intersection between the 5th District, 6th District, and 7th District), the Hungarian Parliament and St. Stephen’s Basilica in about 20 minutes. You can also take the Buda Castle Hill Funicular for a fun experience! Budapest I, otherwise known as the Castle District, is Budapest’s quiet, romantic quarter, so if you’re looking for the best Budapest nightlife, this isn’t the best neighborhood to stay in Budapest. But if you’re on a couples or family vacation and you value some peace and quiet, the Castle District is one of the best areas to stay in Budapest. 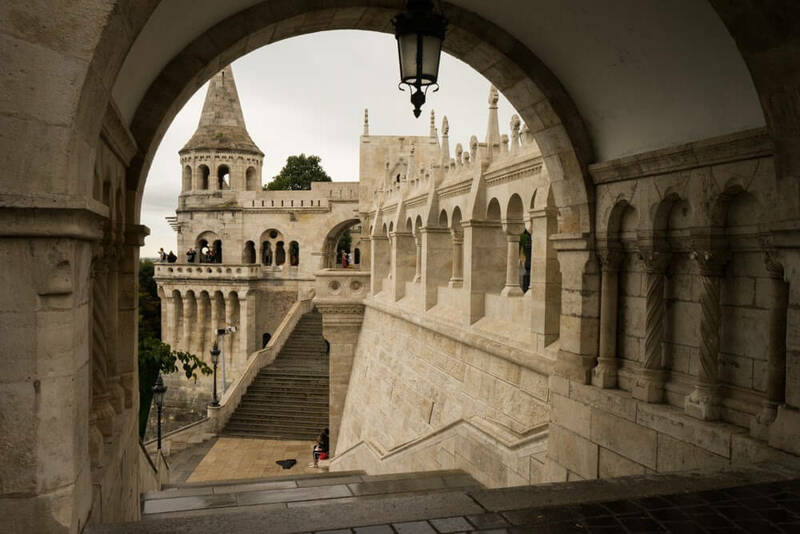 The main attractions in this neighborhood include Fisherman’s Bastion, Matthias Church, Budapest Castle, and the Hospital in the Rock. The Chain Bridge is about 15 minutes’ walk downhill, and the Hungarian Parliament and St. Stephen’s Basilica are accessible via public transit and taxi. Read more about the area and decide if it?s right for you in our detailed Budapest I neighborhood guide. The Pest-Buda Hotel is located on the site of Hungary’s oldest hotel, and the the first hotel on this site was opened way back in 1696. From the outside, the building blends into the pastel colored buildings of the street, but behind the facade, the hotel is contemporary and design-forward, with beautiful details. The hotel offers 10 Rooms at the hotel, each with a unique design, and 2 standalone apartments located a 4-minute walk from the hotel along quiet, cobbled streets. Suite: The 36-square-meter Suites offer an open-plan bedroom-lounge configuration, a separate bathroom with rain shower, and a street-facing window and view. Suites are accessible by stairs only. Atelier Suite: The 33- to 35-square-meter Atelier Suites are attic rooms with lovely architectural and design details, such as the exposed original roof structure, floor-to-ceiling windows with a view of Matthias Church, and freestanding tubs (in addition to the standard rain shower). Atelier Suites are accessible by stairs only. Deluxe Room: The 20- to 22-square-meter Deluxe Rooms offer a bedroom and separate bathroom with rain shower. Windows offer street views. Rooms are accessible by stairs only. Courtyard Room: The 21- to 24-square-meter Courtyard Rooms consist of a bedroom and separate bathroom with rain shower. Unlike the other room configurations at the hotel, these rooms do not have street-facing windows, instead offering windows that look inward to a courtyard-atrium area. All rooms in the hotel are furnished in a luxurious and chic industrial-cottage decor: think exposed wood beams, polished concrete, metalwork, and luxe linens. Interiors feature bold contemporary artwork by local artists. 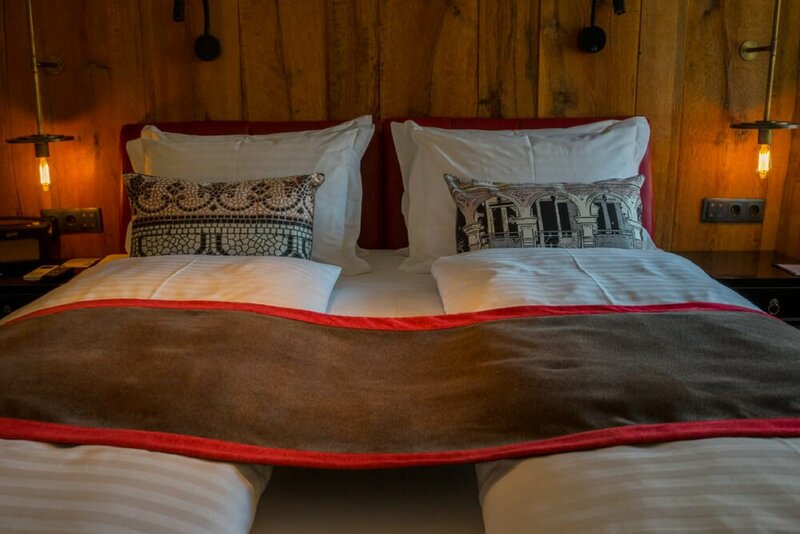 All rooms feature king-size beds with luxury linens. Down duvets and pillows are standard, with hypoallergenic options available upon request. Our bed at Pest-Buda Hotel. We stayed in a Deluxe Room. 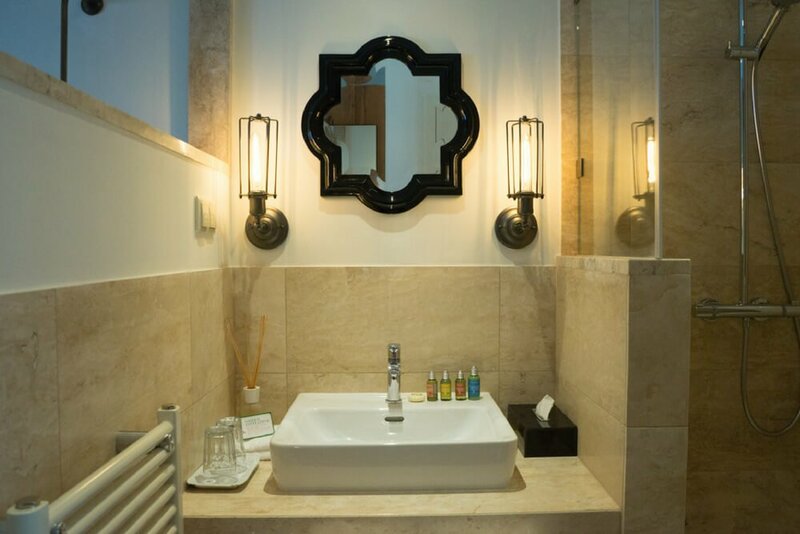 Bathrooms consist of rain showers, and are stocked with L’Occitane organic toiletries, a hairdryer, and a plush bathrobe plus slippers. Some rooms include a freestanding bathtub in addition to the rain shower. Rooms also include 1 or 2 flat-screen LCD TVs, room-controlled heat and air con, a safe, and a retro red mini-fridge. Each room is stocked with a Nespresso machine and espresso capsules, as well as tea bags for those who want to make a cuppa. In addition to the hotel, Pest-Buda has two apartments: the 53 sqm / 539 sq ft Residential Studio and the 79 sqm / 850 sq ft Grand Duplex, which is a good choice for families. There is free Wifi available throughout the hotel, and it’s quite good as far as hotel Wifi goes. When we tested it, it was strong enough to stream music and watch Netflix. It should be good enough to meet the needs of either business or leisure travelers. A basic breakfast consisting of croissants, juice and coffee is complimentary in some room rates. A more fulsome a la carte bistro breakfast is served in the Pest-Buda Bistro for an additional fee. Pest-Buda has a restaurant onsite (the Pest-Buda Bistro) serving Hungarian food, and there are many restaurants in the area as well. The Castle District has tried to position itself as the Gastronomic Quarter, and you’ll find mostly mid-range and upscale options. As a historical building, there is no elevator within the property, and all rooms are accessible by stairs only. That means this property isn’t a great choice for those with mobility issues. Children aged 3 and under are free to stay, and the hotel will provide a complimentary crib (subject to availability). For families traveling with children aged 4 and above, you’ll need to pay a €40 per night supplemental fee. The hotel will provide a rollaway bed. If you’re traveling with young children and have a pram, the lack of an elevator could be an issue because of the stairs. The Pest-Buda is a non-smoking property. 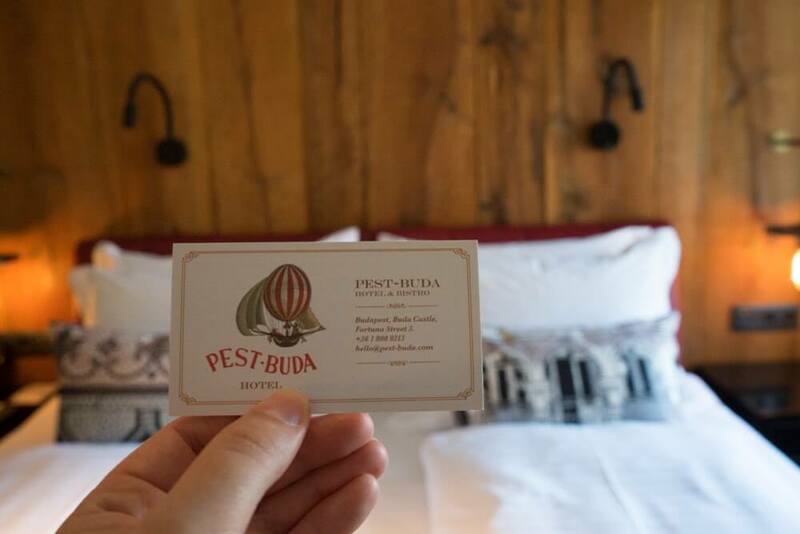 The Pest-Buda is a 4-star design boutique, and rates vary based on date of travel and the type of room you choose. Plan on spending between $125 to $390 per night, depending on the room type. If you’d like to read additional reviews of the hotel, you can find them on TripAdvisor, here. If you’d like to book the hotel, you can check prices and availability on Booking.com. Paid street parking is available for €15 per day, but you don’t typically need a car in Budapest. If you’re planning on exploring the region, however, we use RentalCars.com to find the best rates and book rentals.